Mackenzie Castings is the Northwest’s leading custom manufacturer of steel and iron sand castings. Founded in 1977, Mackenzie’s trademark is its dedication to fine quality and excellent service at a fair price. 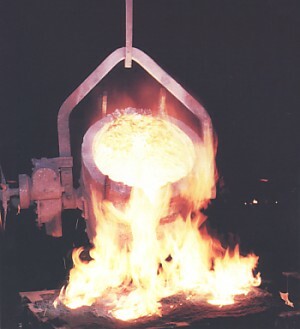 Our superior castings are produced in all shapes and sizes ranging from 10 to 10,000 pounds. Representative of the major industries served include: Marine, Aluminum, Pump, Construction, Electric, Agriculture and Pulp & Paper Mills. STEEL FROM 10 - 6000 LBS. IRON FROM 10 - 10,000 LBS. www.afsinc.org As members of the American Foundry Society, we share new ideas and expertise with colleagues, thus giving us access to the latest technology available in the steel and iron casting industry. In addition, we are members of The Minerals, Metals & Materials Society and the ASTM International to further enhance our professional relationships.